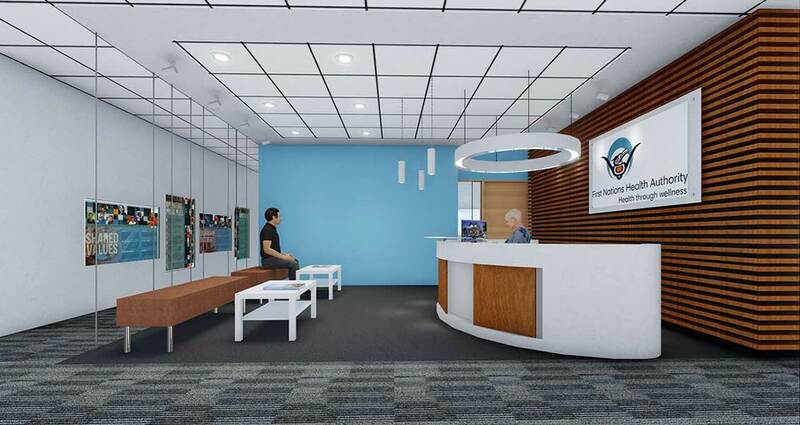 Thinkspace is providing professional consultant services for the renovation and to maximize potential of the FNHA’s 2nd Floor office space in downtown Prince George. The project consists of space planning for 800m2 office space. The office floor comprised of 3 customers; Nursing, Environmental and Regional Team. The new renovation includes a 28-person boardroom, kitchen spaces, new reception area, nursing storage and shipping/receiving and open workstations and enclosed offices to allow for future expansion of company staff.